Is the discipline of defining and creating the behavior between systems and there users. 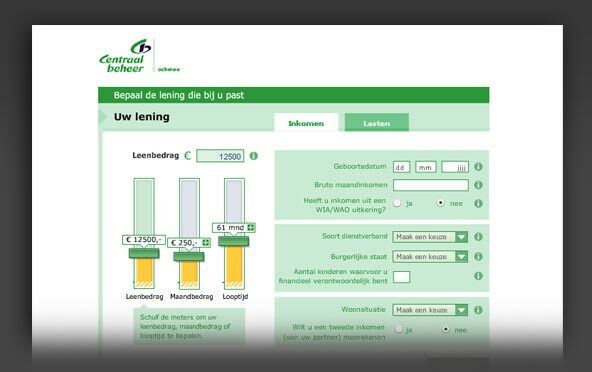 Vormgeven.nl has made interaction design for online applications of Centraal Beheer Achmea, Ohra, Prime Vision, FBTO, AtMost, Boland and Van Dam Quality Beds. Vormgeven.nl heeft interaction design gemaakt voor online applicaties van Centraal Beheer Achmea, Ohra, Prime Vision, FBTO, AtMost, Boland en Van Dam Quality Beds.